There are societies worldwide dedicated to certain kinds of finches and associated bird shows, along with local fanciers’ clubs. Type your interests and location into a search engine, and see what comes up. For many, shows are what finch keeping is all about – a chance to exhibit your own birds, and to look at many others, as well as speaking with fellow enthusiasts. 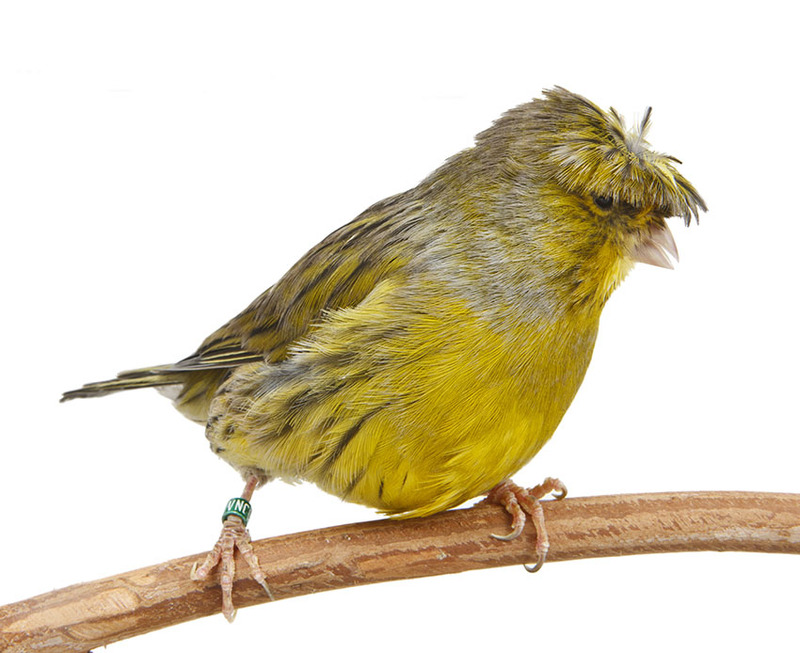 Some bird clubs provide literature that includes details of show standards for your particular varieties of finch, as well as the various rules governing shows and exhibitions. Show cages are similar to the display cages you see in pet shops. They are usually plastic, with three solid sides and a barred cage front. This arrangement prevents the bird from having its feathers ruffled by all the activity going on around it, and enables show judges and other admirers to study the bird without background interference. At shows, it’s always one bird per cage. To get a show cage ready for the big event, make sure it’s spotlessly clean and rust-free, and check with your local Club or Society to find out exactly how the cage should be set up. You also need to make sure the door-fasteners are secure. 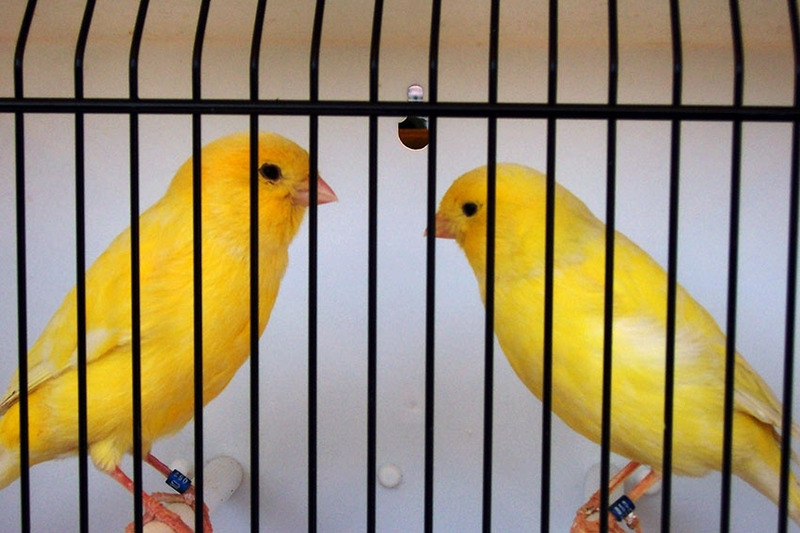 The cage will preparing according to show specifications – again, check with a seasoned pet finch exhibitor to fine-tune things. The interior of a show cage is generally white, or light blue if the bird on display has a white base colour that would get a bit lost against a white background. There should be two perches spanning the width of the cage, enabling the finch to hop back and forth, and positioned so that the finch’s tail doesn’t rub on the sides of the cage when he’s perched. These should be a suitable size for the bird’s feet – if too wide, the finch will not be able to sit comfortably on the perch, which will have an adverse effect on its score in the show. When seated on a perch, the bird's tail should not reach the sides of the cage. Food and water need to be provided, as the exhibited finch will be spending a long time in his cage. It’s usually recommended that the food should be seed only, placed on a layer of kitchen paper on the floor of the cage to eliminate the need for obtrusive food trays. The water can be provided in a standard small L-shaped drinker attached low down on one of the sides. Other than that, the cage should be kept clear – no toys or swings, and nothing to identify the bird’s owner. Once the finch is inside, the door should be secured to prevent it accidentally opening during handling at the show. You may be advised to use some form of tape to secure the door. I'm just starting my aviary so the more information and tips I can gather the better so for this me and my feathered friends thank you.